Now if I could just get everyone to stop talking and moving for about 10 seconds and look this way and stay in frame… We had a good time on Sunday with a few new and old members re-attending – and quite a few apologies as we get near the end of the year and family events start to demand attention. Discussion revolved around how well things are growing this year compared with our dire last spring and summer periods in the mountains that really did not help with growing at all. It was noted that the very dry almost drought conditions during June, July, August & September seems to have urged some plants on to produce profusely this spring. 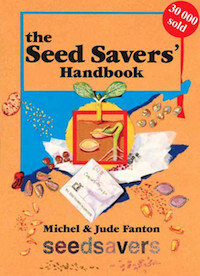 We also talked about upcoming events for the next year including a likely Seed Saving workshop in the new year and also reconnecting with the wider Seed Saving network around Sydney and other cities and states etc. Lots of seed was packed and our Seed library is refilling again. For those new to seed saving we would encourage you to try attending a meeting with us and come and talk about growing plants and how your garden is going/growing. It’s one of the more useful parts of connecting in a network like this – finding out what other people are growing and how they are finding the weather and local soil conditions working for and against them. The new meeting dates for 2018 have been arranged – the next offical date being the 4th of March. See else where onour website for more details. However we are highly likely to have a meeting before then around the end of January/February – so keep an eye our website and facebook feeds. Thanks to all who came to the meeting and helped – and see you next time!